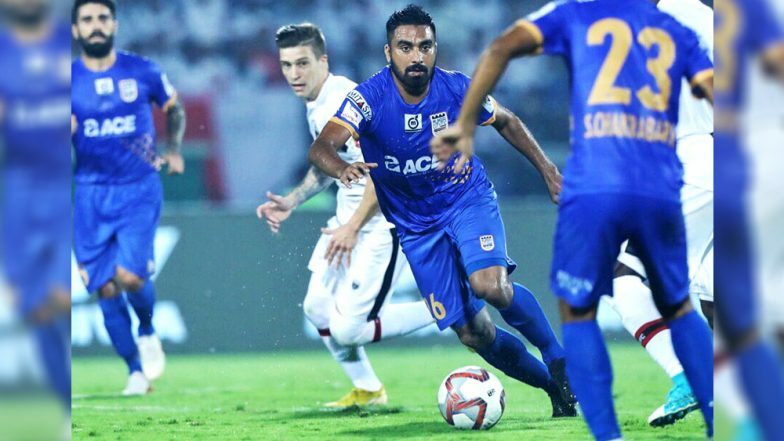 Bengaluru FC vs Mumbai City FC, ISL 2018-19, Live Streaming Online: How to Get Indian Super League 5 Live Telecast on TV & Free Football Score Updates in Indian Time? Mumbai City FC-who have surprised quite a few by moving level on points with second-placed NEUFC in the Indian Super League (ISL), Season 5, after reversing their disastrous start to the campaign-make a visit to table toppers Bengaluru FC’s den. If you are looking for the live telecast and online streaming details of Bengaluru FC vs Mumbai City FC, ISL 2018-19 match, then they can find the detailed information here. Jorge Costa’s side have won five out of the last six games played and are looking unstoppable. They meet another unmovable object in Bengaluru FC who have 23 points from just nine games played this season. The Islanders will not play like an opposition team who come to Bengaluru with a negative mindset in search of a draw. ISL 2018-19 Points Table & Team Standings. Bengaluru will once again be without the services of Miku who has now been out for quite a while. In his absence, the likes of Sunil Chhetri and Chencho Gyelthsen have stepped up well and taken their chances. The home team’s strength lies in their midfield of Erik Paartalu and Xisco Hernandez who never let go of the grip of the game. Udanta Singh has been one of the upcoming Indian talents and has played quite a lot this season. He has scored two goals and one assist this season and is Carles Cuadrat’s potent weapon. Indian Super League 2018–19 Schedule in PDF for Free Download: List of Full Football Match Timetable, Date, Venue & Time of ISL 5. Mumbai City have no injury concern, and Jorge Costa has everyone available for selection. Their goalkeeper Amrinder Singh has been in fine form, and along with Bengaluru FC’s keeper, Gurpreet Singh Sandhu make two of the best Indian custodians at present. Lucian Goian in defence has been a vital cog in Mumbai City’s wheel. His form is an essential factor in the Islanders keeping six clean sheets in the league. Upfront Raphael Bastos has been perfect and he will orchestrate much of his club's attacking moves. The two teams will have a real go at each other, and there is a derby feel about the game. It will not be a surprise if the match ends in a scored draw. When is the Bengaluru FC vs Mumbai City FC, Hero ISL 2018-19, Football Match? Know Date, Time and Venue Details of the 53rd Indian Super League Game! In the clash of titans in the Indian Super League (ISL), Season 5, it will be Bengaluru FC taking on Mumbai City FC on their home turf. The contest will take place at the Sree Kanteerava Stadium, in Bengaluru, on December 9, i.e. Sunday. The match is scheduled to begin at 7:30 p.m (IST). Where to Watch the Live Telecast of Bengaluru FC vs Mumbai City FC, Hero ISL 2018–19, Football Match? The official broadcaster of the ongoing ISL Season in India, is Star Sports Network. The fans can see BFC vs MCFC match on Star Sports 1 and Star Sports 1 HD channels. The game can be seen in Hindi commentary too, on Star Sports 3 channel. Where to Watch Free Live Online Streaming of Bengaluru FC vs Mumbai City FC, Hero ISL 2018-19, Football Match? If the fans to watch BFC vs MCFC match online, they can watch it through live streaming service provided by Star Sports, i.e. Hotstar. However, they want to catch the live coverage and the latest updates about the ISL match, then they can click here.